Creating exceptional outdoor spaces. For celebrations. For contemplations. For generations. Refined gathering spaces. Fully imagined, fully realized. Exceptional gathering places for family, for community, for future generations. Gathering inspiration from nature, gathering family, gathering community, gathering memories to last beyond a lifetime. A new world in outdoor living. At Azuro we value nature. We value beauty. We value quality. We value family. We value community. We value solitude. Our values are made to last. Building fully imagined outdoor places to gather your family, to gather your community, or to simply gather your thoughts. Legacy installations of uncompromising quality and design to last a lifetime and beyond. Take advantage of British Columbia’s temperate weather to design, plan and build your dream outdoor space this fall and maximize the potential of your backyard. Book any time before November 30th and receive a 50% discount on our design services. 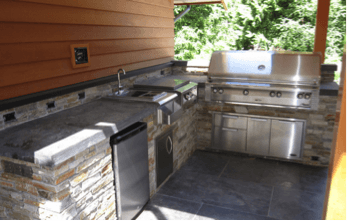 Create a highly functional quality outdoor kitchen installation in your backyard so everyone can be outside on beautiful sunny days, to cook, to eat, to entertain, and to play. Azuro outdoor kitchens are custom designed, fully equipped, and durable. 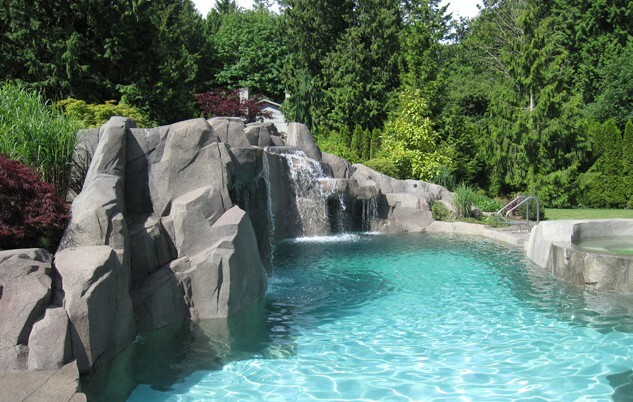 Become the envy of your family and friends with a exclusive, one-of-a-kind inground swimming pools designed by Azuro. Our unique custom built concrete swimming pools fit the contours of our backyard and come with a multitude of design feature options.